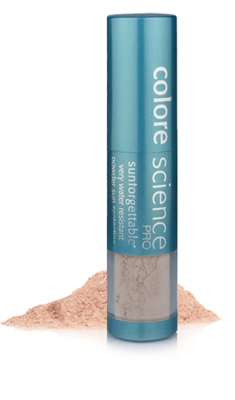 Sunforgettable is a lightweight, sheer mineral powder with a barely-there feel that provides a safe, non-irritating, UVA and UVB sun protection. 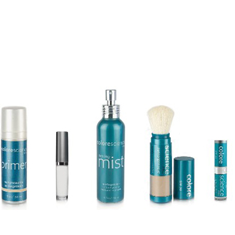 The fine minerals form an instant protective barrier on top of the skin so skin stays clean and clear. Convenient to travel with, the elegant and effective self-dispensing powder brush makes this mineral sunscreen easy to apply and reapply, throughout the day, without disturbing your make-up. No harmful chemicals, talc, perfumes, harsh preservatives, drying alcohol, emulsifiers or dyes that can be harmful to your skin.